The story of Ramakrishna Paramahansa’s life is a story of religion in practice. His life enables us to see God face to face. No one can read the story of his life without being convinced that God alone is real and that all else is an illusion. Ramakrishna was a living embodiment of godliness. His sayings are not those of a mere learned man but they are pages from the Book of Life. They are revelations of his own experiences. They, therefore leave on the reader an impression which he can not resist. 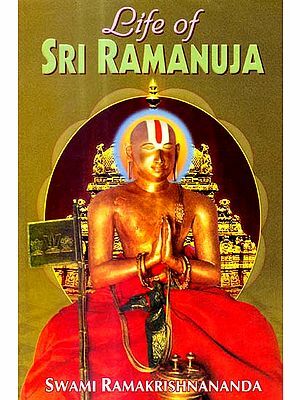 In this age of scepticism Ramakrishna presents an example of a bright and living faith which gives solace to thousands of men and women who would otherwise have remained without spiritual light. Ramakrishna’s life was an object-lesson in ahimsa. His love knew no limits, geographical or otherwise. May his divine love be an inspiration to all. The increasing popularity of the book, viz.• World Thinkers on Ramakrishna-Vivekananda, originally published in 1983, has naturally called for its revision, additions, and alterations through the passage of time. The Ramakrishna-Vivekananda movement has been the most marvellous contribution of creative India to world civilization. If Sri Ramakrishna is regarded as the ‘prophet’ of the new movement, Swami Vivekananda is certainly its greatest ‘preacher’ of protagonist. India is born anew through the Ramakrishna-Vivekananda movement to work out the salvation not only of India but of the world at large. The main inspiring force behind this revised edition is Swami Prabhananda, (now General Secretary of the Ramakrishna Math and Ramakrishna Mission) while acting as the Secretary of the Ramakrishna Mission Institute of Culture, entrusted Professor Haridas Mukherjee of the Indological Studies and Research wing to revise the whole book in the light of certain suggestions and the new materials presented by the former to the latter. We hope that the revised edition of the book will receive proper appreciation from the thinking minds all over the world. 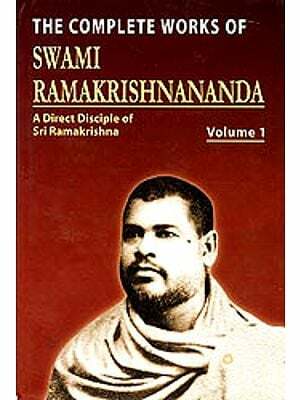 Ramakrishna and Vivekananda represent one single truth, one its spirit and other its form. What is the truth they represent ? That man can develop till he feels he is one with God. To develop to that point is, according to them, the goal of life. Every effort that man makes should b directed to that end. Between themselves, they have done much to regenerate India. They are not just religious and social leaders, they have given back to India her lost identity by rousing her national pride. Indian Renaissance can truly be said to have begun with them. 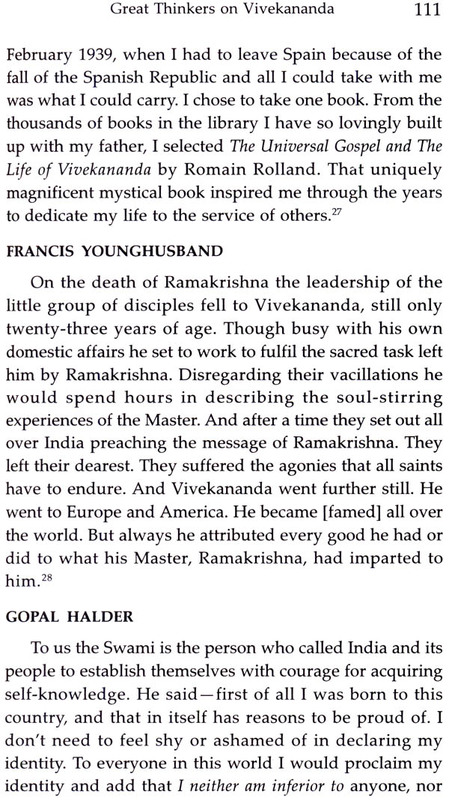 Yet Ramakrishna and Vivekananda are above all barriers of race and creed. Their concern is for mankind as a whole, for to them it is one despite its many superficial divisions. If today their influence is spreading, it is because they address themselves to entire humanity. 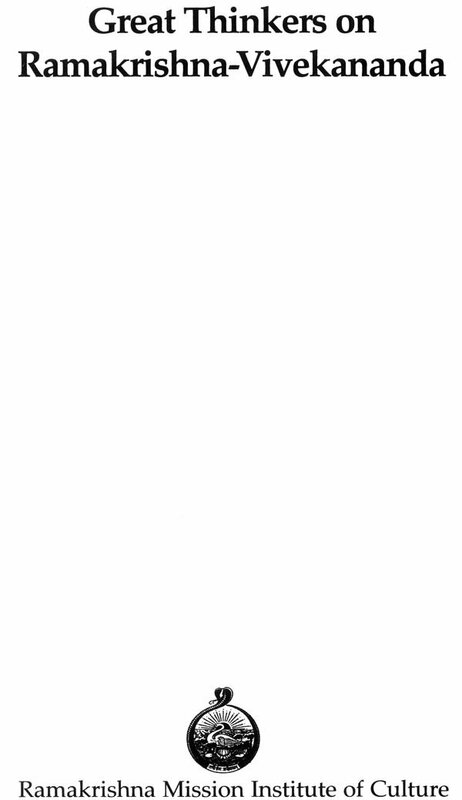 No wonder they enjoy universal love and respect, a fact to which the following pages bear ample testimony. This small book with tributes to Sri Ramakrishna and Swami Vivekananda from savants across the world, has proved immensely popular in that it has needed a second edition within a short while.